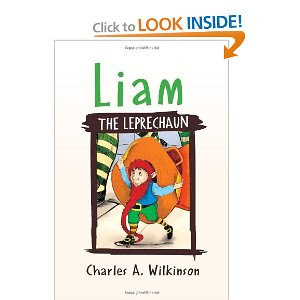 Liam the Leprechaun is the story of a leprechaun who is so much smaller than the other leprechauns. He has a very low self image and every other leprechaun calls him Poor Liam. He goes to meet the wise leprechaun, O'Hoolihan. O'Hoolihan listens to Liam and then gives him the advice that will help him. He needs to search out ways to help using his small size. He needs first and foremost to believe in himself. He finds that by doing this he attains success in his life. This was a great little book with a great message for elementary aged students. However, the message is good for adults as well. I will definitely recommend this book to all of my friends. I can't wait for my grandchildren to come over so that I can share this book with them and its valuable message.